With the continuous development of industrialization, China has developed into a large country in the world of injection molding processing products. The injection molding products manufactured each year flow to all parts of the world, especially the GPS casing is sold at home and abroad. However, the rapid development of injection molding processing products, but also accompanied by the emergence of some problems. So how to choose a reliable injection molding manufacturer and how is the injection mold processing factory quoting? Injection mold is an indispensable tool for producing plastic products in the process of industrial development and mass production. It affects the complete structure and precise size of plastic products. Injection molding is a processing method, which is used in mass production of plastic products. The processing method specifically refers to that the material that is melted by heat is injected into the mold cavity by high pressure, and after cooling and solidifying, the molded product is obtained. Injection molding can realize one-time molding of plastic products with complex shapes. It is a high-efficiency, high-volume production method. The advantages and disadvantages of injection molds directly affect the quality of injection molding products. In the mold industry, to produce high-precision, high-quality, complex-faced injection molds, it is necessary to use advanced computer-aided design and manufacturing software to compile a reasonable process specification, which is an efficiency way of ensuring the processing quality, improving production efficiency and reducing labor intensity. Injection mold manufacturing takes a long time. In order to achieve high precision, some plastic injection molding companies make molds very precision. Specialists follow up and strive to achieve customer satisfaction. Therefore, the required cost of time is increased, and the funds invested will be increased accordingly. There are many injection mold manufacturing processes, and the cost of purchasing standard parts is high, and the number of manpower required for complex processes is relatively large. In order to ensure the quality under the complex processes, plastic injection molding manufacturers also need to undergo a lot of tests. It is difficult to make injection molds. The design requirements of the injection molds are very high, which is mainly the mold flow paths are required to be designed precisely. For example, the previous mold flow analysis, if the design work is not done well, then the subsequent mold trail is unsuccessful. Under the circumstances, it is very difficult to modify molds. Most of them need to be new-made. The number of sets of molds to be manufactured depends on the sample. Sometimes it looks like a very simple plastic part. Instead, it requires two sets of injection molds or even three sets of injection molds to complete the processing. Finally, the price of the injection mold was calculated to be even 100,000 RMB, and it is this high contrast that has caused great psychological impact on customers. The better the mold material, the higher the price. The more complex the structure, the higher the mold cost. The heavier the product weight, the more complex the surface process and the higher the price. The choice of mold maker. The bigger the mold maker, and the more standardized the management and development, the higher the price. China has become the world's largest exporter of injection molding products, and injection molding products have also made indelible contributions to China’s foreign trade growth. 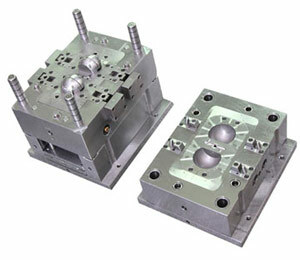 However, at the same time as rapid growth, there also have been many problems in the injection mold industry of China. How to choose a strong and well-known injection processing factory to process products? The first and foremost is to inspect whether or not the factory has a professional mold design and development department and the actual situation of the injection molding department. But it should not be confused by the appearance of the factory, and not rely on the cleanness of the workshop to locate the strength of a factory. More importantly to inspect the injection molding machine equipment, management system, the boss's business philosophy. Good mold will have good products. Before the mold opening for production, it is necessary to see if the injection mold meets its own needs through sampling. The professional manufacturers will arrange relevant staff to seamlessly connect with customers, from the initial stage of design to the final determination of the products, to ensure seamless connection between the customers and the factory, which ensure the work progress of the products. Is there production and processing capacity for deep technical communication? As customers, we all hope to find terminal injection molding manufacturers, eliminating the cost of intermediate transfer. Therefore, during selecting, it is possible to conduct an on-site inspection of the factory, and then to discuss with some more in-depth issues, we can know the depth of the injection molding strength of this manufacturer. The production capacity of the manufacturer is not only related to whether it can be delivered on schedule, but also related to whether the problems encountered in the mass production process are the fastest to be solved. And it will not delay the delivery of the customer or even affect the reputation, profit, and brand image of customers.